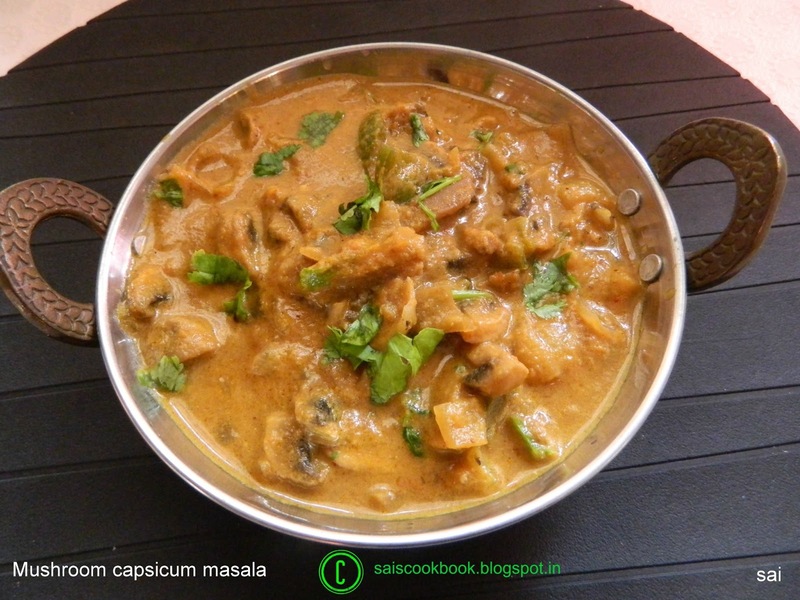 I adapted this recipe from a food group where the original recipe was with paneer.I made slight changes as per my taste.This dish goes well with jeera rice,Methi thepla or dosa.Capsicum and onions is added at the end of the recipe in order to retain its crunchiness.My kids love dishes prepared with mushroom,so I pick a packet of mushroom whenever I find fresh ones in the market.You may prepare this dish with paneer too. Make paste of green chilly and garlic. Heat ghee in a pan and saute green chilly – garlic paste for a minute. Add red chilly bits,saute for a second,add onion puree and fry till the raw smell disappears. Add chilly powder,turmeric powder,cumin powder,garam masala powder and fry half a minute. 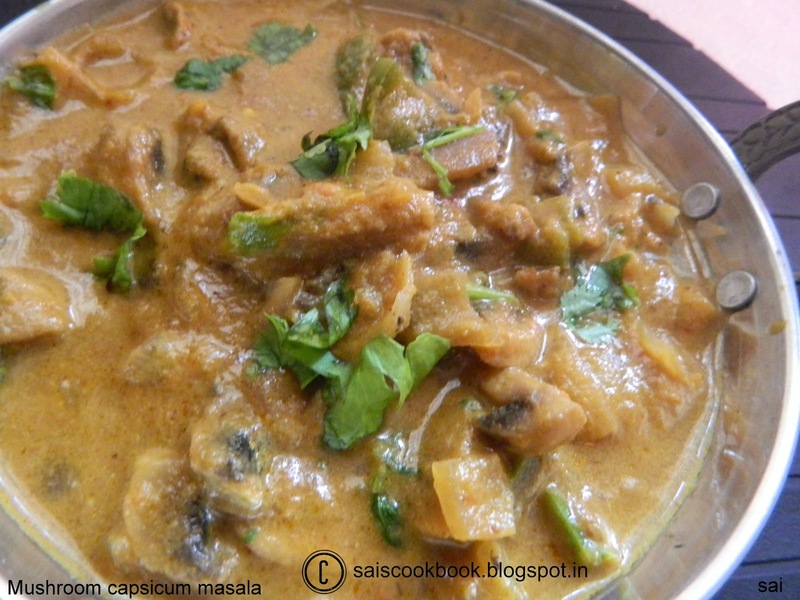 Add onions,capsicum,mushroom,water and salt to taste,close the lid and cook until the mushroom gets cooked,lastly add fresh cream and give it a stir. Below here is the thali of jeera rice,Mushroom buthi,Kadgi phodi,Masala chaas.